With approximately 188 million inhabitants, Nigeria is the most populous country in Africa and the seventh most populous country in the world. The country has one of the largest population of youth in the world. In 2014, Nigeria overtook South Africa to become Africa's largest economy and in 2015, Nigeria was said to be the world's 20th largest economy, worth more than $500 billion and $1 trillion in terms of nominal GDP and purchasing power parity respectively. With the stats detailed above, it is no wonder the country has become a first port of call for Foreign Direct Investors looking to invest in Africa. This article seeks to examine and point out some salient facts every employer of Expatriate Employee must know while operating in Nigeria. These industry practices and regulations apply to both local and foreign companies. 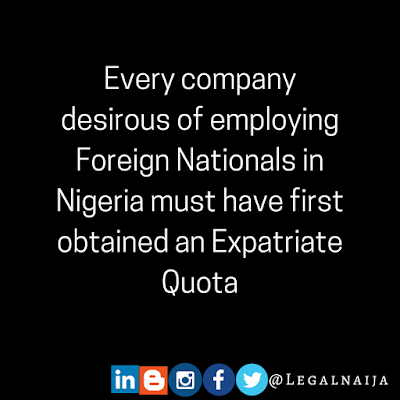 Every company desirous of employing Foreign Nationals (“FN”) in Nigeria must have first obtained an Expatriate Quota (“EQ”) from the Federal Ministry of Interior (“FMI”). The EQ is a condition precedent that must be fulfilled by any company (local or foreign) employing FNs in Nigeria. The document details out the positions in the company approved by FMI to be filled by FNs. It is important to state that the position to be occupied by every FN must correspond with his qualifications. A concise illustration of this point is that, it is very likely that The Nigeria Immigration Service (“NIS”) would reject an application for the resident/work permit of a FN who is an accountant and who is expected to occupy the position of “lead engineer” in a company. It is also expedient to note that, flowing from a recently issued directive, companies operating in specific sectors are required to join certain professional bodies before employing FNs. E.g., companies operating in the engineering sector are required to register with Council for The Regulation of Engineering in Nigeria. For any FN to enter into Nigeria for employment related purposes, particularly on a long-term basis, the said FN must have obtained a Subject to Regularization (“STR”) visa from his country of residence abroad. Upon arrival in Nigeria the FN is expected to apply for a Combined Expatriate Resident Permit and Aliens Card (“CERPAC”) within 90 days of arrival. The application for STR visa and CERPAC is to be made by the employer on behalf of the FN. The employer must also undertake to bear full immigration responsibility on behalf of the FN. Pursuant to the Personal Income Act, an employee is said to be resident in Nigeria if he is domiciled in Nigeria for a period of 183 days or more in any 12-month period. Expatriates who have obtained resident permit in Nigeria are liable to personal income tax. Monthly quota returns for the company. Though section 2(1) of the Pensions Reform Act 2014 provides that the act shall apply to every employment in Nigeria, the Guidelines for Cross Border Arrangements under the Pension Reform Act provides that “any foreign employee of a company registered in Nigeria shall, at his/her discretion, join the contributory pension scheme, without considering whether he/she has a pension arrangement in his/her home country.” This means that the FN may maintain a Pension Fund Administrator (“PFA”) in his home country or elect to join a Nigerian PFA. The immigration regime in Nigeria allows for change of employment of FNs already employed in Nigeria by a previous company to another company. In instances of such, the consent of the comptroller of immigration must be sought and obtained prior to changing such employment. The previous employer is also required to issue a letter of no objection to the employment of the FN by the new company. Upon completion or termination of an FN employment in Nigeria, the employer is expected to formally inform the Comptroller General of the NIS of this fact. The reason of the aforesaid stems from the need for NIS to be able to ascertain at any given time the number of FN’s employed in the country, to keep records and also release the employer from immigration responsibility as it concerns the exited FN. 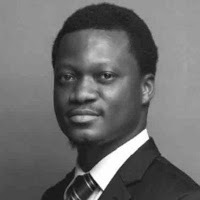 Busayo Adedeji is an associate at Bloomfield Law Practice. He has experience assisting clients on regulatory compliance and general commercial law issues.